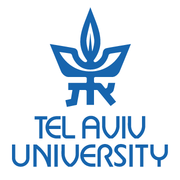 Tel Aviv University (TAU) - Israel's largest and most comprehensive institution of higher learning - is home to over 30,000 students studying in nine faculties and over 125 schools and departments across the spectrum of sciences, humanities and the arts. Situated in Israel's cultural, financial and technological capital, TAU shares Tel Aviv's unshakable spirit of openness and innovation – and boasts a campus life as dynamic and pluralistic as the metropolis itself. Tel Aviv the city and Tel Aviv the university are one and the same – a thriving Mediterranean center of diversity and discovery. Consistently ranked in the top 20 in the world in terms of scientific citations and among the top 100 universities internationally, Tel Aviv University is also Israel's first choice for students, and its graduates are the most sought after by Israeli companies. Global in outlook and impact, TAU advances teaching and research that break down the walls between disciplines, striving to address the twenty-first century's most pressing challenges through bold, interdisciplinary solutions. Economic Growth and Distributive Justice Part II - Maximize Social Wellbeing via Coursera 5 weeks long 5 weeks long 22nd Apr, 2019 No reviews yet. מבוא למדעי הפסיכולוגיה - Introduction to Psychological Science via Coursera 8 weeks long 8 weeks long 13th May, 2019 No reviews yet. 18th Oct, 2015 No reviews yet.